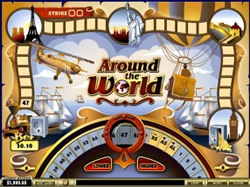 Playtech have launched their arcade games at a number of casinos. This number will grow as these fun to play games achieve a following. Nice cross section here with bingo, horse racing, sports, and other quasi casino type games catered for. Unique and one of the most exciting games is Derby Day. 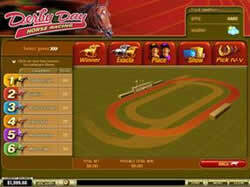 This is a horse betting game where you can choose from a variety of horses that you can bet on. This game was developed mainly for people who like to bet on horse races but it does not require any knowledge and experience with horse betting. It is easy to play and you can enjoy winning as soon as you learn the basics. To predict which horse will win the race, you have a variety of features describing the horse, its trainer and jockey. The game gives you race history as well as weather conditions to make it even more realistic. 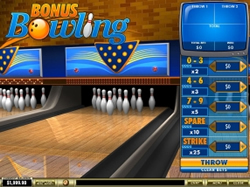 Another game that will surely grab your attention is Bonus Bowling. The developers of that game claim that it is the most realistic online bowling game ever developed. The objective is to predict how many pins will be knocked down. You cannot bet less than $1 on this game but you can bet on a variety of combinations with the number of pins you knock down. The real exciting part of this game is the bonus session called the Golden Frame where you can win an amount that is 10 times your total bet for the round. Around the World is for those who love simple games. The objective is to predict whether the next number will be higher or lower than the last one. This is an easy to play game separated on levels. Each level brings higher payout. You are allowed to cash out on each level. You can stop on special events like: one level up, one move up and others. 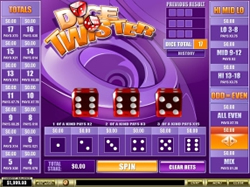 Dice Twister is a game with great graphics. You can place various bets on what the outcome of a three dice roll will be. You can bet a minimum of $1 but the diversity of winning combinations is wide. You can bet on the total result of the three dice, or a range of total results of the three dice (3 to 8 or 9 to 12 or 13 to 18) and even mix of these bets. 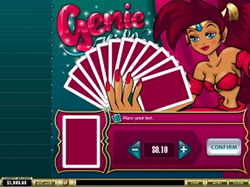 Genie-Hi-Lo has both a progressive and a non-progressive version. The objective is to predict whether the next card is higher, lower, black or red. On each right guess you have the option to continue or to cash out. You can mix the variety of bets. For example you can bet on lower and black. This way you increase your payouts. The game keeps the history of your last 11 picks. You can continue until you successfully predict the last 11th card. “Heads or Tails” is real easy game to play where you have to guess the outcome of the coin flip. 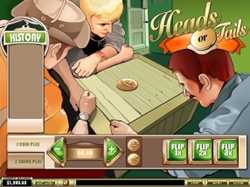 It is a non-progressive game in which there is a combination of consecutive flips that you can bet on. You can flip up to three times on each bet which increases your payout by 100%. You can also choose to play with two coins if you like. The game is simple and it is very easy to navigate through the option buttons. This is a game you HAVE TO try. We all love darts! Now you have the chance to bet on darts online. 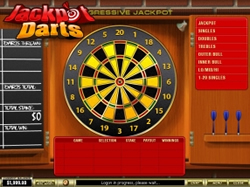 With Jackpot Darts, you can place various bets on where the three dart throws will hit. The dartboard is split into areas where you can bet on which area the darts will hit. The different areas have different payout structures according to difficulty. On top of that this is a progressive jackpot game where the jackpot constantly grows every time you place a jackpot bet. Penalty Shootout is a game especially developed for the soccer fan. In this game you play the role of the striker. All you have to do is pick a direction, bet on it and kick the ball. When you shoot the goalkeeper can either catch the ball or not. If he saves your shot you lose your bet, but if he doesn’t save it, you win. 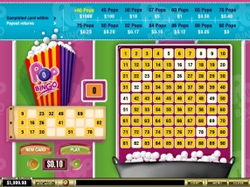 Pop Bingo is an easygoing Bingo type game in which you can bet up to a maximum of $100. Pop Bingo adds a new twist to the classic Bingo game! You simply choose the bet amount and as soon as you have a Bingo card that you like, you can start playing. You win according to the number of balls required to fill your card. 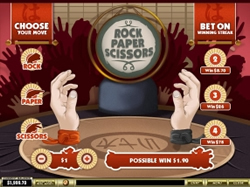 Rock Paper Scissors is the online version of the old and very well known game that we have all played at some stage in our lives. The difference this time though is that you can bet on a winning streak. To win the bet, you have to win a certain number of games in a row. By increasing the number of winning throws, you can increase your payouts. For example four winning matches in a row rewards you with 78 times the bet you have placed. With Rollercoaster Dice, two 7's in a row always wins. In the Rollercoaster Dice game, your objective is to predict whether the next roll of dice will have a higher or lower total than the last one. 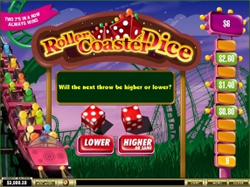 Easy enough to play and easy enough to win, Rollercoaster Dice is expected to be one of the most popular of the new generation arcade games. This is a new version of Keno. Well actually it looks like a completely new game but the principle is the same. 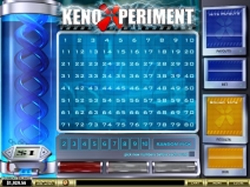 The difference here is that in Keno Xperiment, you can set an amount of numbers to be picked at random for the next round, or play five rounds with completely random selections. Graphics are amazing and the screen offers amazing statistics and scorekeeping. Simply put, the game is great!